When my husband and I were thinking about buying a house, we toured a lovely home that was on the lower end of our budget. It was gorgeous. It had high-end appliances and the owners had completely updated it. We couldn't believe the price, or that it had been on the market for weeks. We told the realtor we were interested and were ready to make an offer and that's when she told us that the house was part of a homeowners association (HOA). She pulled out a massive binder with the HOA's rules, including what kind of grass we could plant, what kind of fencing was permitted, and what colors we could paint our home. Finally, she dropped one more bomb: The monthly HOA fee was a staggering $600 a month. We quickly gave up any idea of buying that home, but it was a well-learned lesson. HOAs are residential governing bodies that provide certain services to the owners in the community. They are most commonly seen in condominium complexes or townhome communities, but some single-family home neighborhoods may have an HOA, too. HOAs can be very expensive. According to Investopedia, the average monthly HOA fee is $200, yet it can easily reach as high as $700 a month. That amount is completely separate from your mortgage payment, taxes, and homeowners insurance. An HOA can dramatically increase your monthly housing bill. In some communities, HOAs provide many valuable services. They may cut your lawn, maintain building exteriors, provide a community pool, and set rules about community appearance. Other HOAs are more bare-bones; they may only maintain common areas and you're responsible for your own landscaping. Because they can vary so widely from community to community, it's important to do your research and understand what's included in your fee. 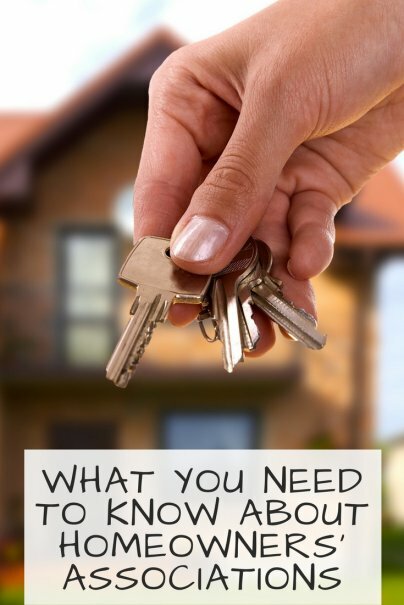 When you're ready to buy a home, you will need to include the home's information in your mortgage application. Besides factors like your income, down payment, and the home's sale price, the mortgage lender will also ask you about HOA fees. Mortgage companies will include the HOA cost in their evaluation of your application. If the HOA fee worsens your debt-to-income ratio, they won't give you a loan. What happens if you fall behind on HOA payments? Depending on where you live, the consequences for falling behind on your HOA payments can be severe. When you first miss a payment, your HOA may charge you a late fee. If they still don't receive payment, they may send your debt to collections, which can damage your credit report. They can also ban you from using community amenities, such as the neighborhood pool or fitness center, until you pay what you owe. An HOA can also file a lien on your property. That means if you sell the home, the HOA gets their share before you get any of the money from the sale. Some states also allow an HOA to evict homeowners if they become delinquent on their payments. And in some areas, they can even foreclose on your property. These consequences can have long-lasting effects, and can cost you thousands in late fees, interest charges, and even legal fees. That's why it's so important to ensure the HOA payment is well within your budget before buying a home. Buying a house is a huge decision. Besides factors like price, school district, and taxes, make sure you research the community's HOA and its rules. Depending on your area, your HOA fees can add thousands to your housing costs and can cause plenty of headaches.